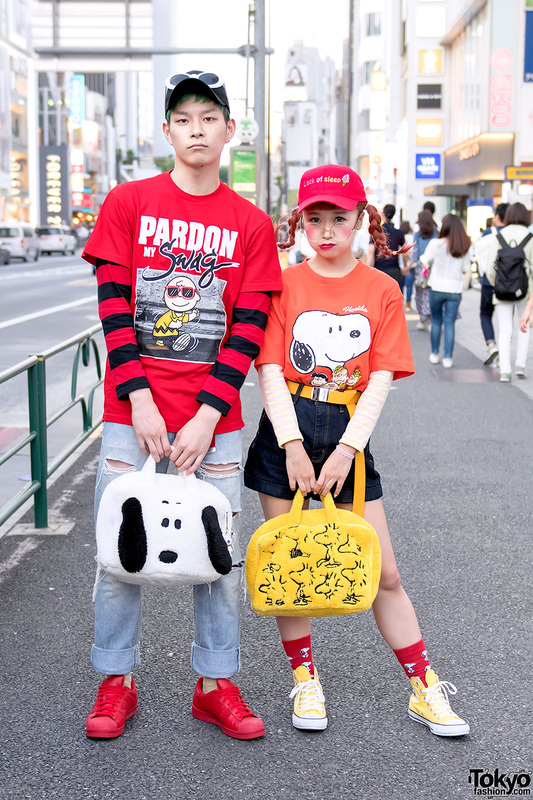 Harajuku shop staff in casual street wear with vintage t-shirt, resale drawstring pants, sandals, and a red belt bag. 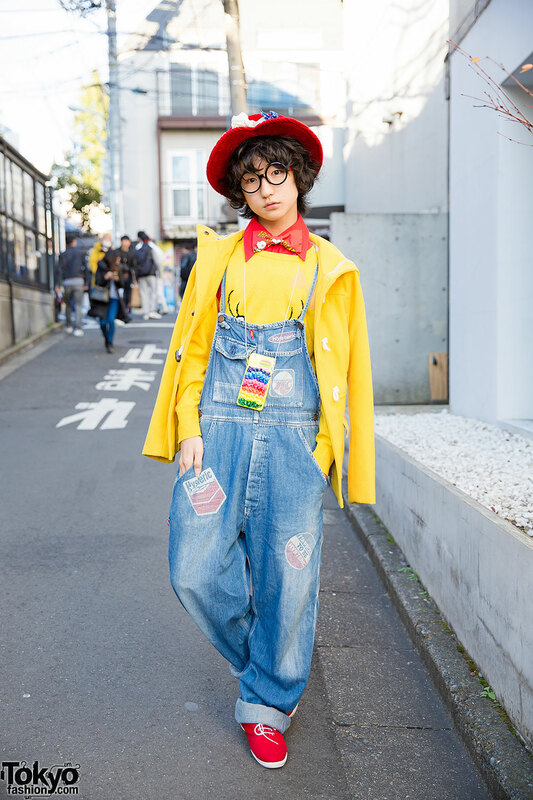 Harajuku guy in glasses & hat, wearing denim overalls, yellow coat & sweatshirt, canvas sneakers & Ronald McDonald backpack. Harajuku girl in plaid shirt dress over leggings, red purse and Snoopy sneakers vs. Harajuku girl in sweatshirt, plaid pants, cap, rucksack and sneakers. 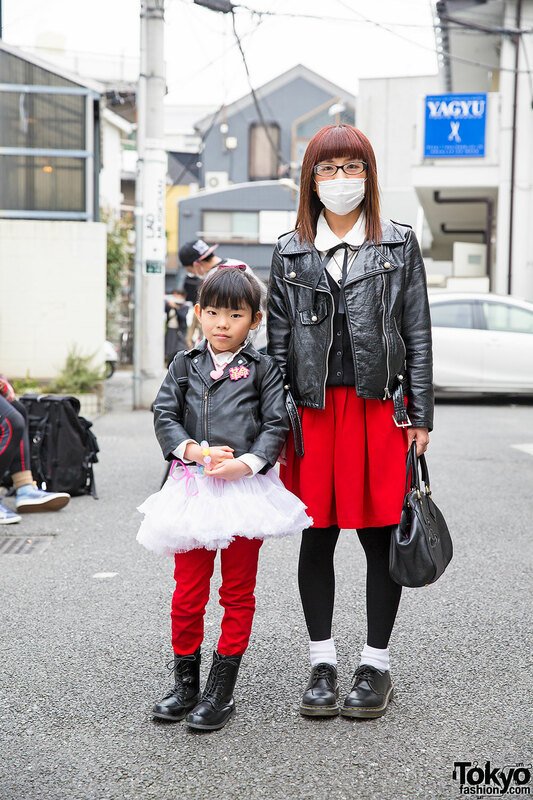 Harajuku mother in red dress over white shirt, biker jacket and lace-up shoes with daughter in biker jacket and tutu over pants, plush backpack, plastic accessories and lace-up boots. Harajuku decora wearing hair clips in her bangs, rubber duck headband and necklace, graphic t-shirt, shorts, knee socks and lace-up boots. 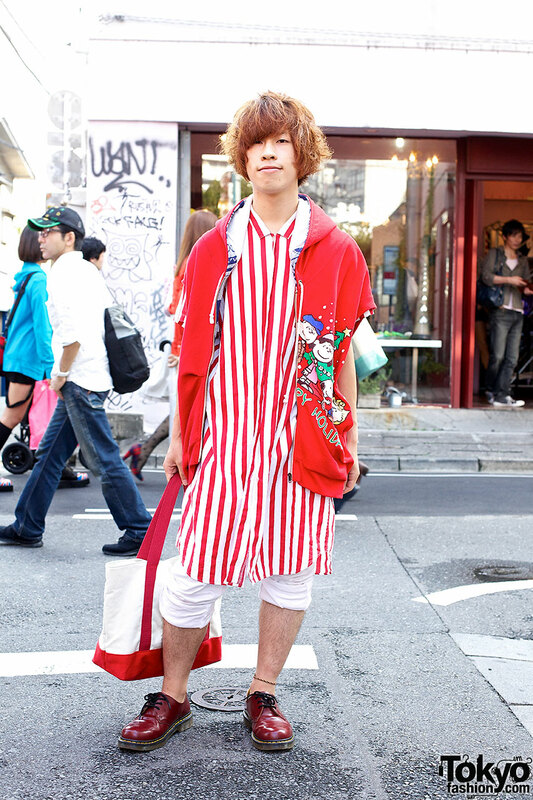 Harajuku guy wearing an oversized striped shirt and a Snoopy hoodie with a “Pastel Colors” canvas bag. 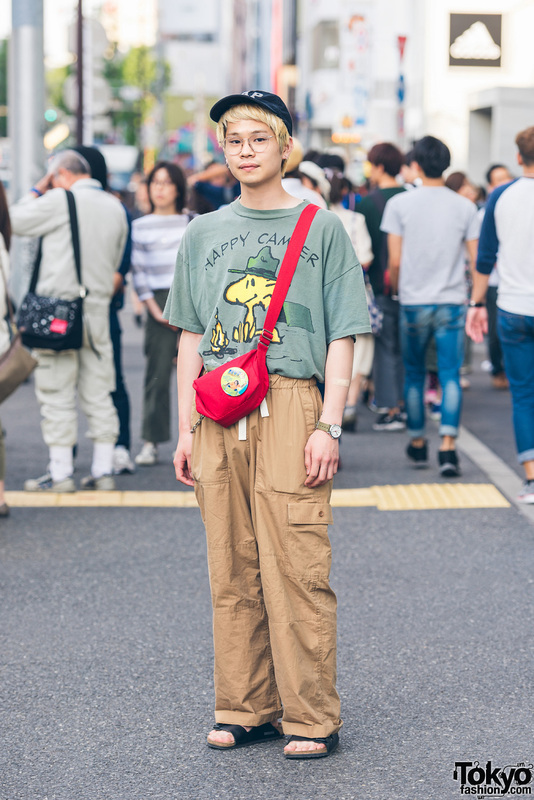 Japanese student wearing a cute outfit – put together from various resale shops and flea markets – on the street in Harajuku.